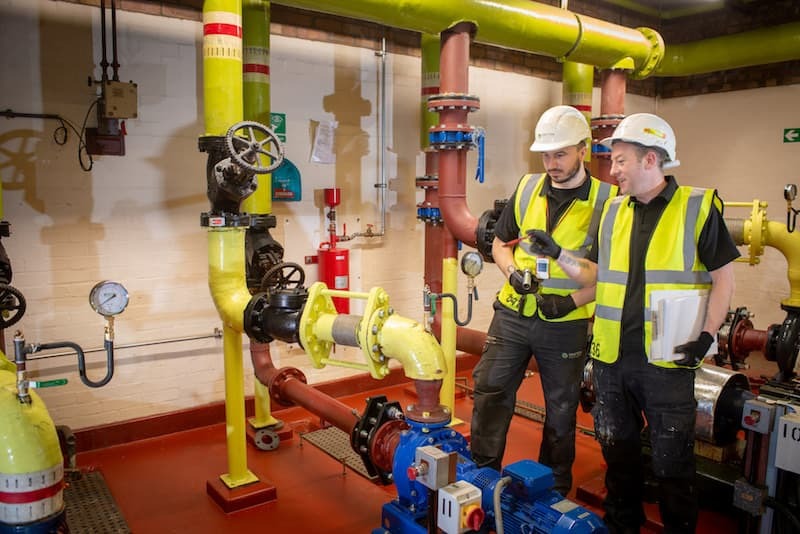 Whatever the project, our team is ready to develop detailed design proposals, addressing every aspect of a commercial plumbing scheme right down to the specification of sanitaryware and brassware design. 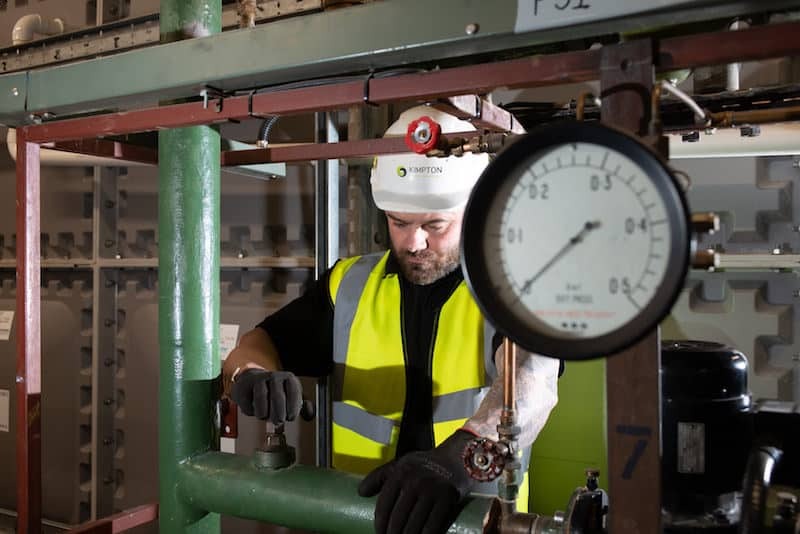 Our registered plumbers can handle all types of plumbing installations across a range of applications from above ground drainage in multi storey buildings to final connections on bathroom pods. 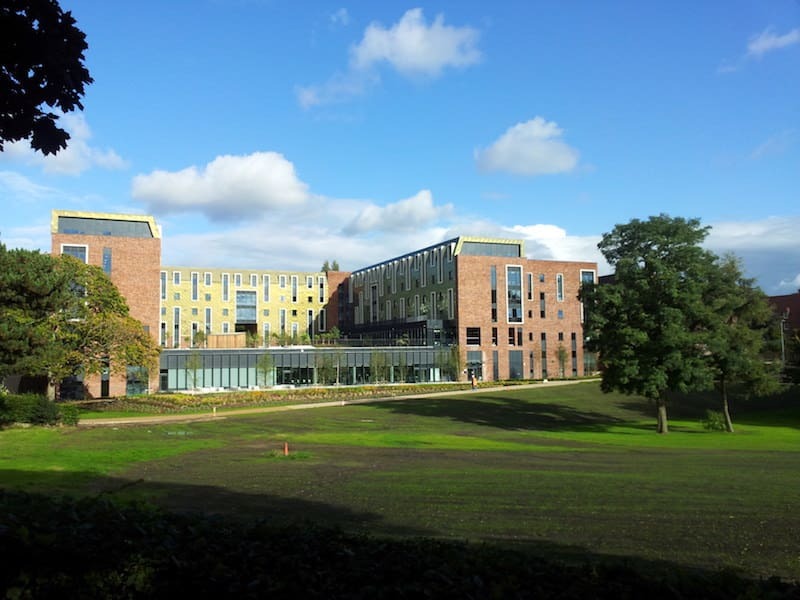 Student accommodation is a particular market strength, often involving plumbing up to 1,200 en-suite bathrooms on a single site. All our plumbing works are carried out to current water regulations and we always use WRAS approved products and accessories. We are often asked to explain the difference between commercial plumbing and plumbing for residential environments? So here’s a simple explanation. First the similarities. They both involve moving fresh and waste water, heating and ventilation around buildings. That’s where the similarities end however. They may be broadly similar in principle, but are hugely different in scale and complexity. In a residential setting the piping system is generally reasonably simple. If you look at the layout of a normal UK home – even a big one, there will normally be radiators in each room, water to a few bathrooms and the kitchen and utility and then waste water removal from each and from the external guttering. Many new homes are built to central plans by developers so on any given site there will be a number of identical homes, all of which follow a near identical plan. In residential settings, there is a growing move towards push-fittings and plastic piping throughout. These can make installation much faster and require lower skill levels for the fitters. It’s a money-saving move that we understand, but don’t fully embrace as there’s little doubt in our mind that the lifespan of these products will be less than those for higher quality, copper-based piping systems. With a commercial development, there are normally multiple floors with varying floor plans. There can be dozens of different offices and apartments, each with toilets, plumbing for sinks, showers as well as heating and washing systems throughout. With a new build it can be logical and installed as the building goes up, but with a conversion of an old building to a new use or standards, it can be far more chaotic and extremely complicated. A system designed for commercial use will always imply a much heavier usage than a standard domestic set-up. To cope with this, every element of the system is often upgraded or just built to more exacting standards. In a commercial building, there are invariably more people in the space and the plumbing systems are going to be used a lot more frequently. So, the grade of the pipes and fixtures needs to be higher to prevent premature failure. It would be very rare to see stainless steel urinals, automatic taps or even air conditioning systems in a UK home, but they are commonplace in a commercial environment. Gravity also plays a huge role in commercial buildings with the pipes and tank systems, and water pressure is more important in buildings with multiple stories. As an example of this in action, the difference in scale of pump system needed to move water between two residential floors, when compared to a 20 storey block is immense. With any plumbing installation there is a risk of failure at some point in the future. It could be component failure or it could be the ‘nail through a pipe’ scenario, but the difference in scale between residential and commercial can mean the scale of catastrophe can be exponentially bigger. Whilst a leak in your home could cause damage to ‘priceless’ family heirlooms and your soft furnishings, potential problems go hugely up in scale with commercial. A faulty sprinkler system that starts overnight or during a weekend could destroy hundreds, or even thousands of computers in offices. A leak in a higher suite could damage everyone on every floor below. So a lot of damage becomes an insurance nightmare. All of these reasons mean that prevention is far easier than cure and design and build to this higher commercial standard is the only choice available. In a home, there can only be so much demand at any one time. If you are lucky enough to have three toilets and all are flushed at the same time it’s unlikely to cause any issues. With a commercial set up across 30 floors there could be multiple demands simultaneously. Toilets flushing, baths running and washing machines doing their work. All have the potential to overload one or more of the systems. The systems therefore have to have a much greater level of redundancy built into them. Most of the time, the system will be operating well within capacity, but for that occasional surge of full demand they need to be able to cope with enormous changes. The example often used to explain this is the surge in demand for power, when kettles are switched on, throughout the nation in Coronation Street commercial break. A growing problem, particularly in the food service industries is fat build up throughout the waste water systems. Grease-blocked drainage systems can be a common problem that is far more easily solved in a residential setting. 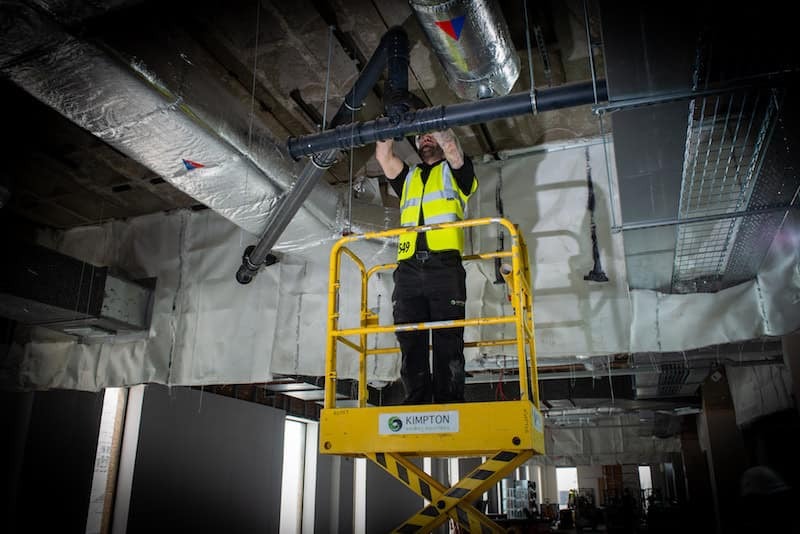 Increasingly, systems to manage fats, oil and grease are being specified in commercial installations. We are yet to see a proper grease management system installed in a home. There are probably many more differences we could highlight. But this shows five of the main ones. 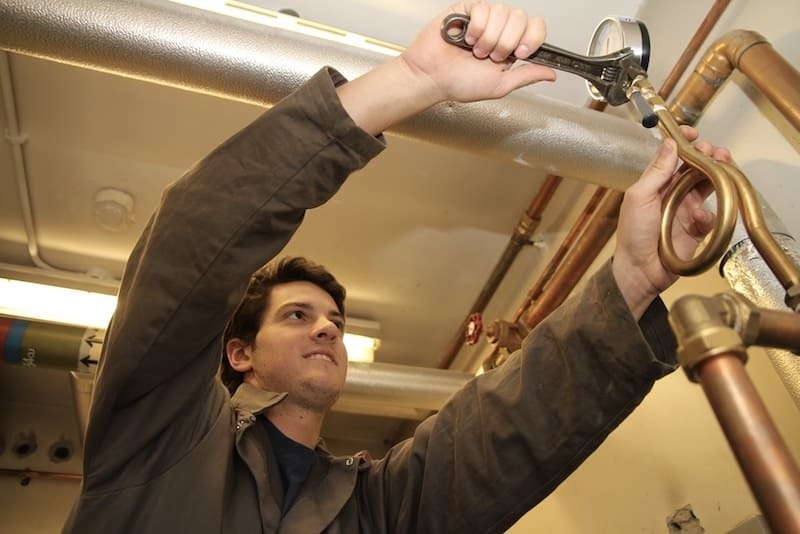 The Kimpton team are trained in commercial plumbing. It’s what they do day in and day out. They literally live and breath it. So if you have a commercial plumbing problem (or opportunity), then we have a commercial plumbing solution that’s designed for you and designed to last.